New beautiful, strong and long lasting teeth. A fantastic solution for patients who have lost some or all of their teeth and for which traditional dentures are not adequate. Often called “teeth in a day” or “all on four” implant supported dentures and bridges restore function and esthetics to that of natural teeth. On the day of treatment, any remaining teeth are removed, four to eight implants are placed and a temporary bridge is fixed into the implants. The patient never has to go without teeth. 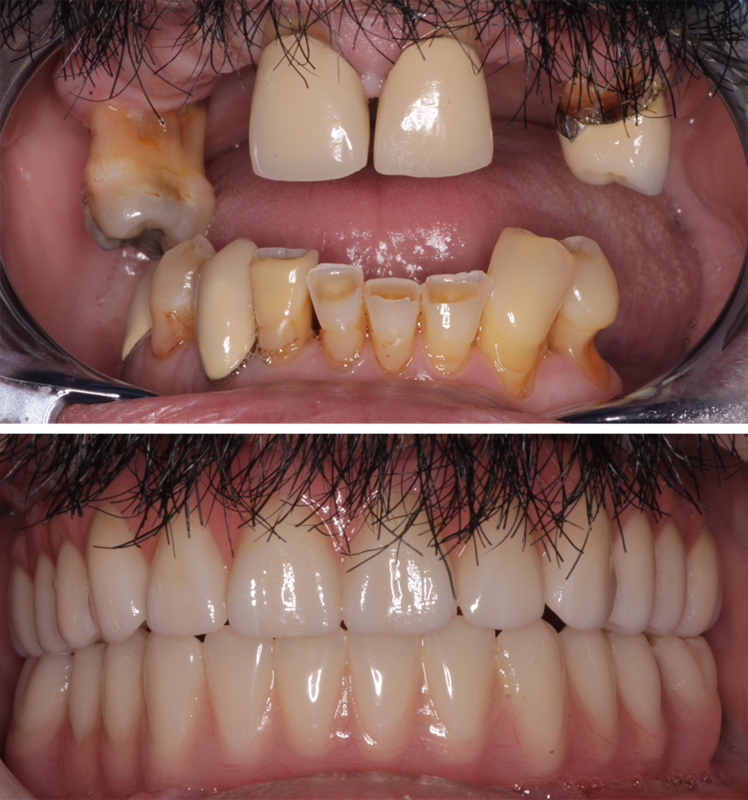 After a period of healing, a beautiful permanent porcelain bridge is fabricated and fixed to the implants. These bridges are strong, beautiful and long lasting and can give new life to someone who has had to deal with poor teeth or dentures for their whole life.